Sunice clothing has become a dynamic force on the mountain, in the wilderness, and across the globe due to a highly focused effort to remain scientifically driven. Whatever your winter passion is, Sunice will fuel it with the kind of outerwear that was born to rule. Emerging from a land that knows a little about the cold and how to thwart it, Sunice blossomed out of Calgary, Canada and developed into the massive player they are today. Things really took off for Sunice when they burst onto the international scene by outfitting the first Canadian team to make an attempt at summiting Mt. Everest in 1982. That fame and global recognition only exploded further when they became the official supplier for the Calgary 1988 Olympics. After their wildly successful Olympic experience, Sunice expanded into more markets, created new products and even concocted a highly respected golf outerwear brand. Their tradition of quality and performance again got international attention as Sunice clothing was so respected, that they were given another run at being the official merchandise provider for the 2010 Vancouver Olympics. No matter the decade, the venue, or the challenge, Sunice is always ready to dominate the scene. When it comes to Sunice women’s ski jackets, there is just nobody who does technical outerwear better. 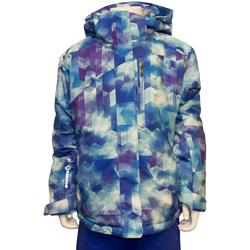 The Sunice Women’s Mirage Insulated Jacket is a marvel of modern technology. Fully sealed seams, waterproof zippers, Climaloft insulation, an adjustable hood, pit vents, superior breathability, and a wild amount of other features highlight the Mirage that many have come to believe in. Rough weather is no problem for models like the Sunice Women’s Trista Insulated Ski Jacket. It comes packed with all the performance necessary to thwart the dastardly intentions of Mother Nature and Old Man Winter. 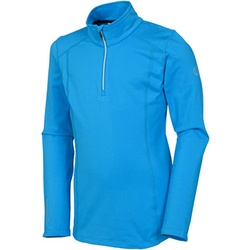 If you are searching for a piece that will get things done as an awesome layering device, look no further than the Sunice Women’s Alena ¼ Zip Pullover. 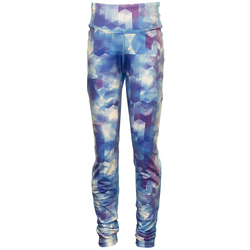 It does a tremendous job of wicking away moisture, keeping you dry, and ensuring massive amounts of comfort all day long while skiing. 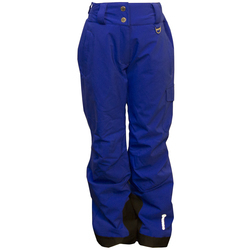 Get the most out of your time in the snow with Sunice women’s jackets. Just like the many who have come to rely on Sunice for the best outerwear solutions, they are always excited about the next season as they promise to engineer something even better every time around. From the backcountry to the country club, Sunice clothing has been built for performance and designed for style.